A few days ago, @jack (currently the CEO of both Square && Twitter) posted a pic of his iPhone. It struck me as slightly surprising that both Square & Twitter could be using Gmail. 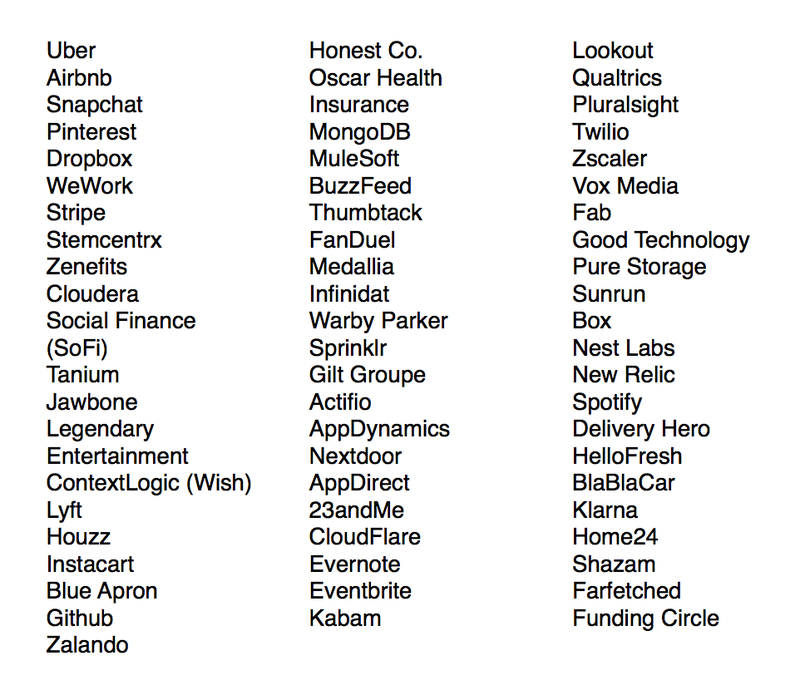 Both companies have a ton of talent who deeply understand message delivery and message queues. I wouldn't be at all surprised if both companies have people working there who worked on Sendmail or Postfix. On some levels, twitter competes with Google.. (if Google Pay is a thing, then so does Square). Of course this is one of those times when you see a classic mismatch between "paranoid security guy" thinking, and "scale quick Silicon Valley" thinking. The paranoid security guy thinks: "So every time a twitter executive sends an email, people at Google can read it?" while the SV entrepreneur says: "It isn't core.. lets not spend engineering time on it at all". Interestingly, about 60%of the current Unicorn set have their email handled by GMail. 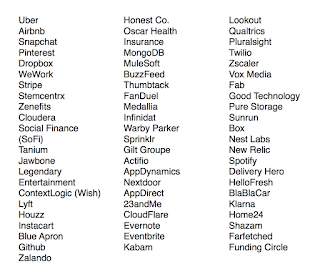 (A further 13.6%) have their mail handled by outlook.com (which means about 70% of the current startups with billion dollar valuations, don't handle their own email). 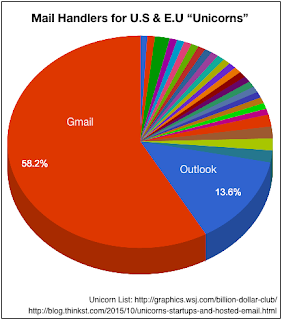 It is interesting that Gmail so completely dominates in terms of email handling, and it is equally surprising that so many companies so completely outsource this function. On this trajectory, it wont be long before we can stop calling it email, and can simply refer to it as gmail instead. Ps. Anyone want to buy a book on sendmail macros? Well it is not suprising. Email is hard even for experienced engineers and benefits of running own solution is in most cases negligible. Think of it this way, use something that is decently reliable vs potential Hillary Clinton's email shenanigans. In summary: Start sending email from a new mail server and the established players will likely mark it as spam. Market captured. We have definitely run into this problem. And it's not just email, the number of startups and other companies with private source code on Github, sensitive documents on Google Docs, and all their files on DropBox is unbelievably high. As other commenters have indicated, spending time setting up your own server, email, and other cloud services is time-consuming, expensive, and often results in an inferior product. But, with services like Portal (https://portal.cloud), Sandstorm (https://sandstorm.io), and Bitnami (https://bitnami.com) self-hosting your own email is almost as easy as signing up for Gmail. I don't think any startup should be wasting time setting up their own email, in the same way they should not be building their own computers and configuring up their own servers. 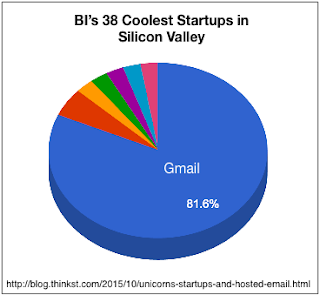 Use Gmail, buy preconfigured laptops and cloud servers and you're ready to go on day one.